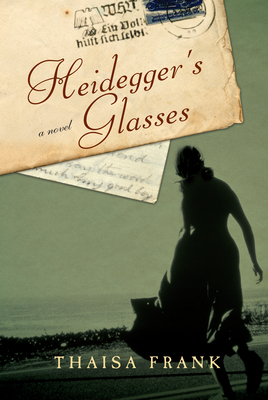 Heidegger's Glasses opens during the end of World War II in a failing Germany coming apart at the seams. The Third Reich's strong reliance on the occult and its obsession with the astral plane has led to the formation of an underground compound of scribes--translators responsible for answering letters written to those eventually killed in the concentration camps. Into this covert compound comes a letter written by eminent philosopher Martin Heidegger to his optometrist, who is now lost in the dying thralls of Auschwitz. How will the scribes answer this letter? The presence of Heidegger's words--one simple letter in a place filled with letters--sparks a series of events that will ultimately threaten the safety and well-being of the entire compound. Part love story, part thriller, part meditation on how the dead are remembered and history presented, with threads of Heidegger's philosophy woven throughout, the novel evocatively illustrates the Holocaust through an almost dreamlike state. Thaisa Frank deftly reconstructs the landscape of Nazi Germany from an entirely original vantage point. Thaisa Frank is the recipient of two PEN awards, and her two most recent story collections were nominated for the Bay Area Book Reviewer's Association Award. She has taught writing in the graduate department of San Francisco State University, is on the part-time faculty at the University of San Francisco, and has been Visiting Associate Professor of Creative Writing at the University of California, Berkeley.